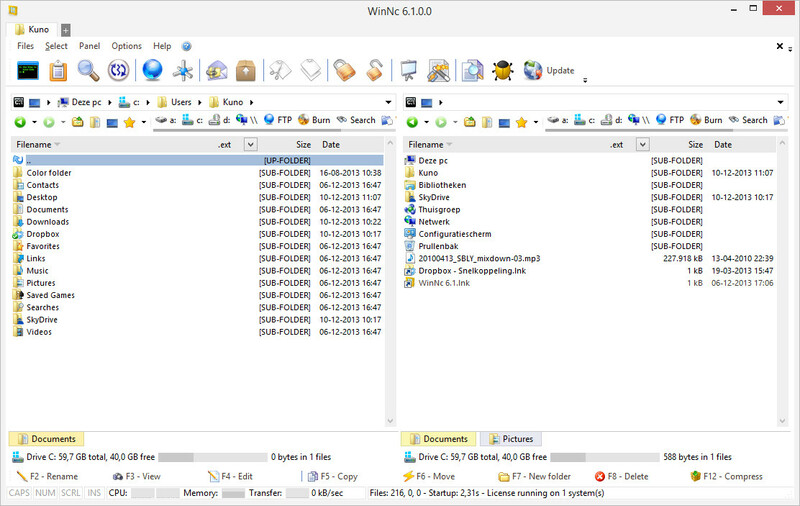 WinNc is a file manager that replaces the use of the existing Windows Explorer. It uses the same key shortcuts and the same mouse functionality as a well-known DOS file manager, Norton Commander. The product gives you direct drag-and-drop access to servers, network neighborhoods and other network computers in the double-pane interface, each of which function independently. In addition to standard file-management functions such as formatting, copying, moving, deleting and editing files, it lets you view inside compressed files as if they were directories. For 40$ no way.. better FREE file managers out there. tried this and was NOT impressed. will use my Free FILE COMMANDER. does much more. Dont get me wrong this software does what it says but for 1/2 the price of an OS. just overpriced for what should be a no more then 4.99 program. Lots of other better file managers out there. its not about looks its about functionality!! Many changes since 5.3 version. Now it is very nice file manager. I think it is worth to buy it. Total commander 8 looks outdated and interface is not comfortable compared to WinNC. .net is probably the major reason to avoid using WinNc.Net. I (personally) prefer xplorer². Those who like the original Norton Commander might see the FAR Manager instead. Forget it. .Net is clunky and slow. Plus there are several better filemanagers than this which are dual-window capable. Best and cheapest is xplorer2. Lot of people like Total Commander (I hate it, but whatever). XYPlorer is good too. Finally if you want to pay through the a$$, the greatest filemanager of them all is Directory Opus. Give this one a miss, it's absolutely pointless. I think FreeCommander is just as good, if not better...and it's free. 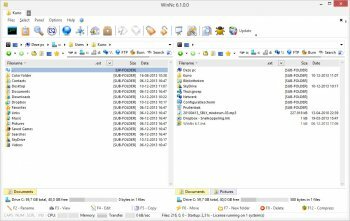 WinNC.Net is a good, solid, useful and powerful file manager and I recommend it highly. I use it in place of explorer, that comes with windows. It is very solid, and can preform many tasks. WinNC.Net is a good, solid, useful and powerful file manager and I recommend it highly. It performs all the functions listed in the description above (and more!). It has never failed me and has never crashed in all the years I have been using it. I cannot say the same for most other file managers including one that costs twice as much as WinNC.Net.